Bethesda marketing chief Pete Hines tweeted to say the upcoming multiplayer post-apocalyptic PC, PlayStation 4 and Xbox One game won’t support the feature. Hines’ tweet comes just a few hours after Sony announced cross-play between PS4 and rival consoles the Nintendo Switch and Xbox One for Fortnite, with more games to be added later. 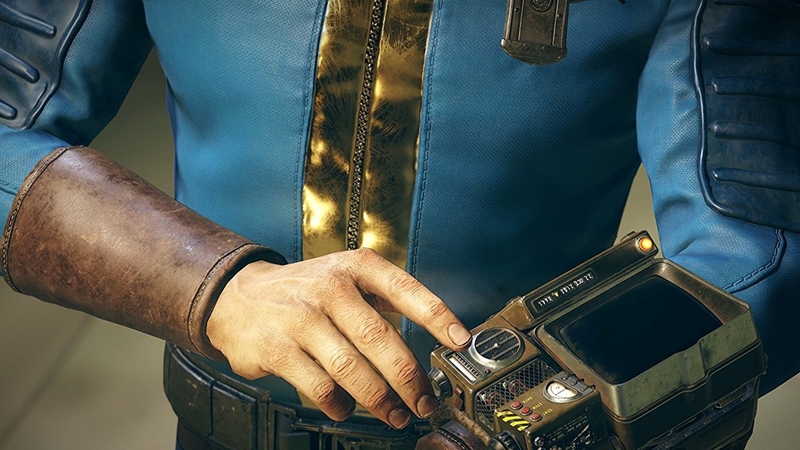 Hines had expressed concern about Sony’s position on cross-play, but more in relation to card game The Elder Scrolls: Legends than Fallout 76. “It’s way more pertinent to Legends,” Hines told Eurogamer at QuakeCon 2018. “Fallout 76, sure: it would be nice if I could play on my Xbox and my kid is playing on his PC and we can play together, but if we can’t, OK. There’s lots of games – I play Overwatch on Xbox and he plays on PC separately and has a whole separate account. It’s not critical. “But for Legends it’s absolutely critical,” he said, “both cross-play, which is how Legends works right now on every device – you’re playing against somebody who could be on any device – and, more importantly, cross-platform progression, which means no matter what you do on any platform, you load up the game and so long as you’re logged in, here is all your progression, here is everything you had, everything you were doing. Now that Sony has confirmed cross-play for Fortnite PS4, many are wondering whether other games will soon get the feature. Jeremy Dunham, VP of publishing at Psyonix Studios, pointed Rocket League fans to Sony.